WASHINGTON, October 19. /TASS/. 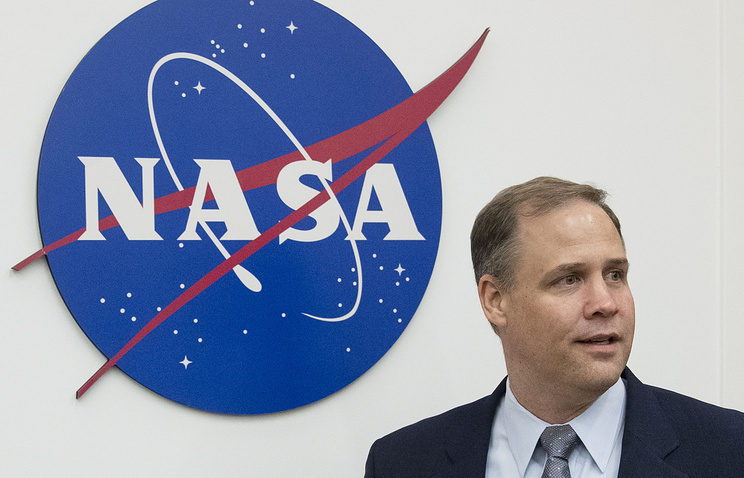 The US National Aeronautics and Space Administration (NASA) will be unable to implement a program for sending a manned mission to Mars, its chief, Jim Bridenstine, told TASS in an interview. A little more than a week ago Bridenstine was in Moscow and the Baikonur space site in Kazakhstan and for the first time met with his Russian counterpart, chief of the Roscosmos corporation Dmitry Rogozin. "We want that to be an international collaborative project," he said. According to Bridenstine, the United States is developing "an architecture on the Moon, that same architecture when we think about launch providers and spacecraft and reusable command modules and landers and launch ascent vehicles, that could take off from the surface of the Moon." "All of these capabilities and technologies can be replicated on Mars. We are interested in assessing international partners that can build these capabilities. The United States of America cannot do everything, but if we have international partners that can participate in parts of architecture, then we can do more, then we could ever do alone. I don’t know exactly what country will be part of which part of the architecture, but I do know, that if each country does it’s part we can do more, that we could ever do alone." According to earlier reports NASA plans the first manned flight to the red planet in the 2030s using a newly-designed spacecraft Orion and heavy rocket SLS. Before an Orion can be launched to Mars, though, several unmanned probes are to be sent to Mars to identify a suitable site where a capsule with astronauts might land.